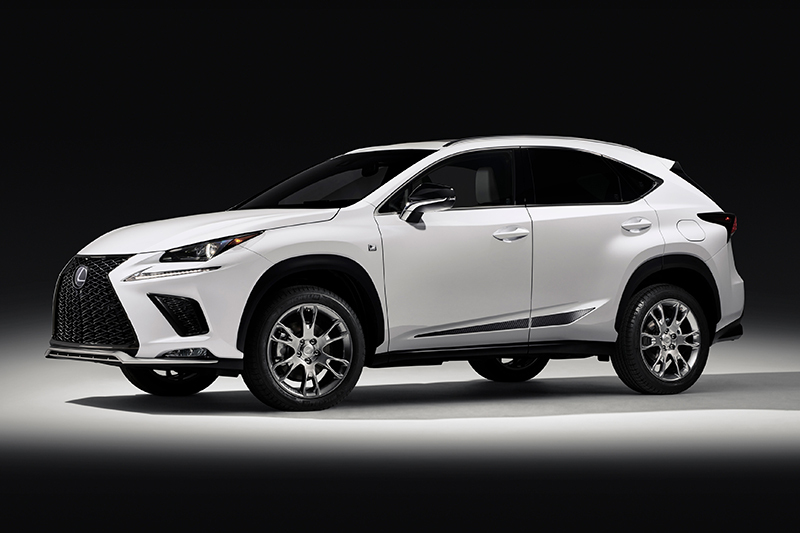 IT’S totally arctic in the Windy City these days, and inside the halls of McCormick Place, where the Chicago Auto Show runs until February 18, the 2019 Lexus NX is furthering this wintry vibe even as spots of color coming from its sporty coupe sibling, the 2019 Lexus LC 500, provides some sizzle to balance out the atmosphere. 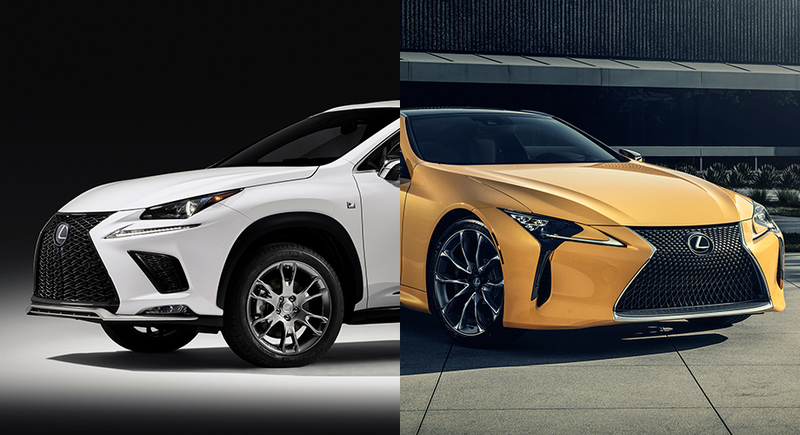 Both Lexus models get distinct styling touches. The NX at the show flaunts the new Black Line treatment in its 300 F Sport rendition. Limited to only 1,000 examples, the NX 300 F Sport Black Line is distinguished by 19-inch split-six-spoke alloys, snazzy graphics on the lower part of its body, larger exhaust apertures, and exclusive paintjobs — Ultra White, Obsidian and Atomic Silver. 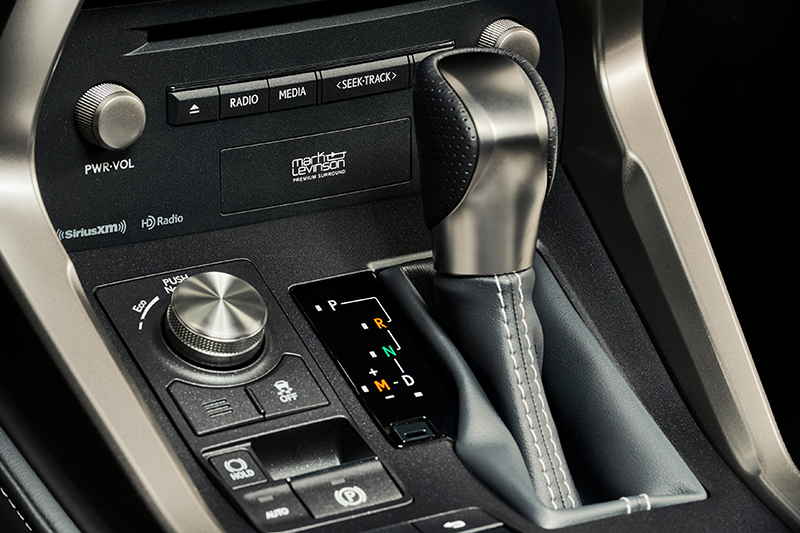 In the cabin, the NX 300 F Sport Black Line debuts for the nameplate a 14-speaker, 835-watt surround-sound Mark Levinson audio, as well as model-specific arctic white-and-black sport seats marked by quilted NuLuxe surfaces. 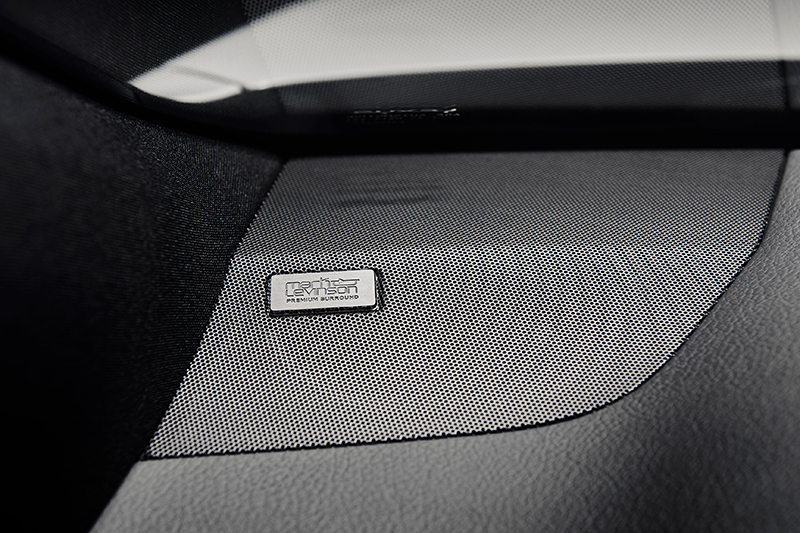 The seats are then matched to a black headliner, special floor and cargo mats, and key gloves. 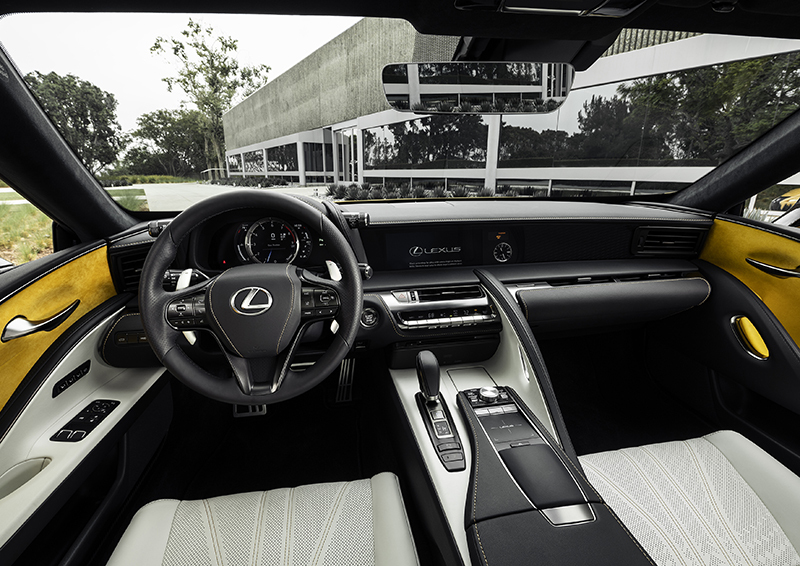 Other items the Black Line is kitted with are a 10.3-inch navigation and multimedia display accessed via a remote touchpad; Lexus Enform App Suite 2.0; blind spot monitor; heated/ventilated front seats; intuitive parking assist; power tailgate with kick sensor; a moonroof; and Active Sound Control, which pipes in some of the engine notes through the speakers (the volume can be adjusted). Displayed alongside the NX 300 F Sport Black Line is the 2019 LC 500 Inspiration Edition. 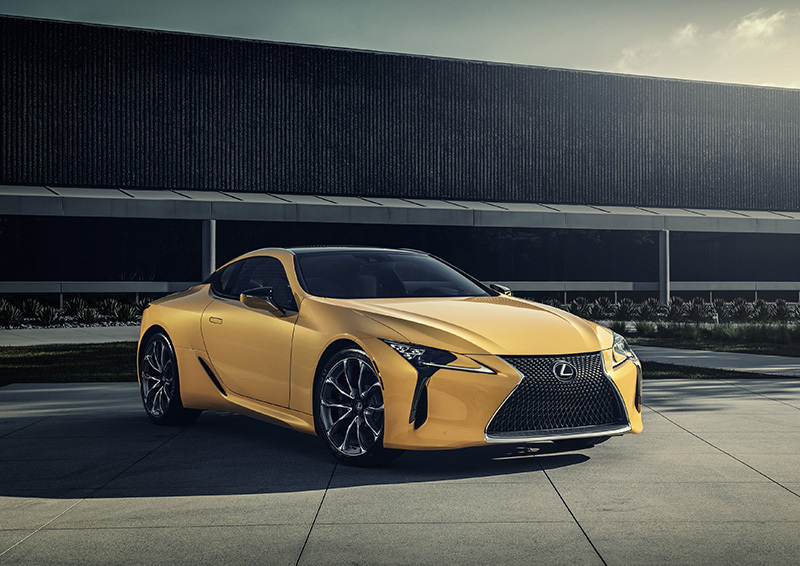 Limited to even less examples — only 100 will be made — the third model to join the Lexus Inspiration Series can’t be missed because of its dazzling Flare Yellow paint. 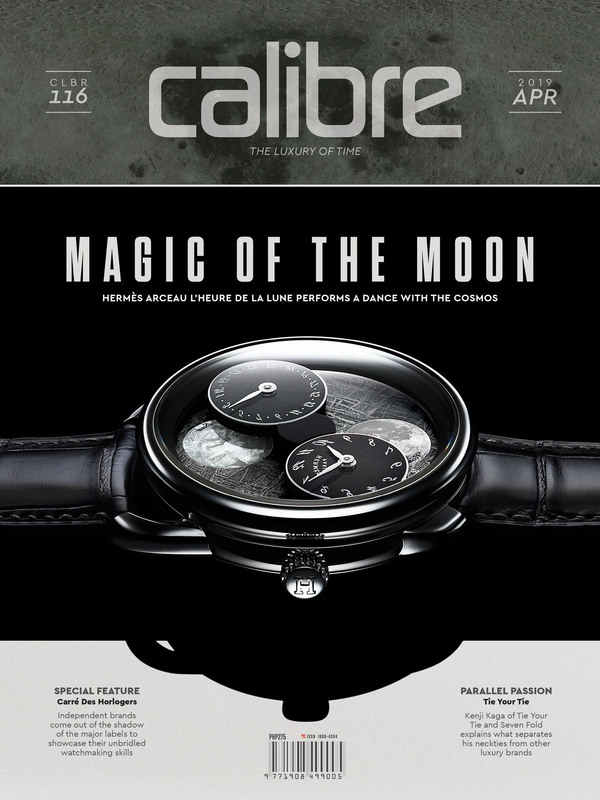 The metallic color, though searing, somehow manages to highlight the coupe’s numerous creases and complex surfacing. Helping identify the Inspiration from the “regular” LC 500 are its 21-inch wheels and carbon-fiber roof and lower grille insert. 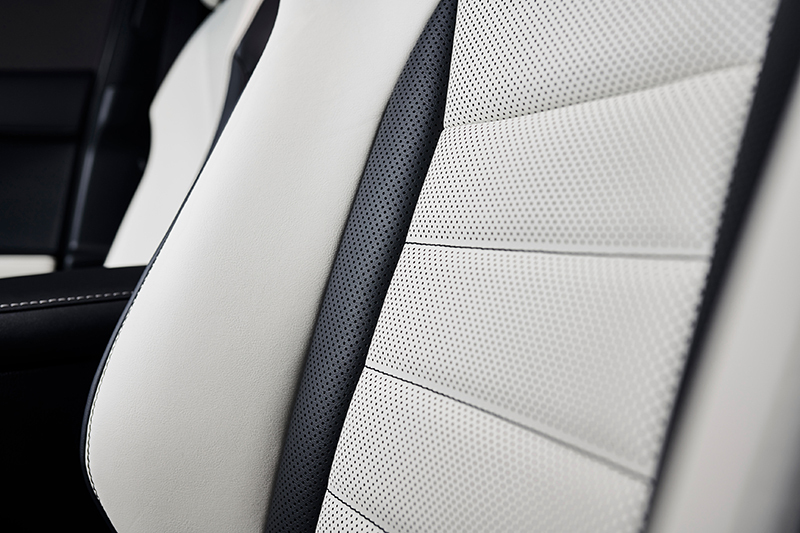 The interior of this car also sees several unique touches, chief among which are bespoke yellow door inserts made of Alcantara, touring seats wrapped in semi-aniline leather with yellow stitching, and more yellow stitching on the instrument panel, console and glove box. 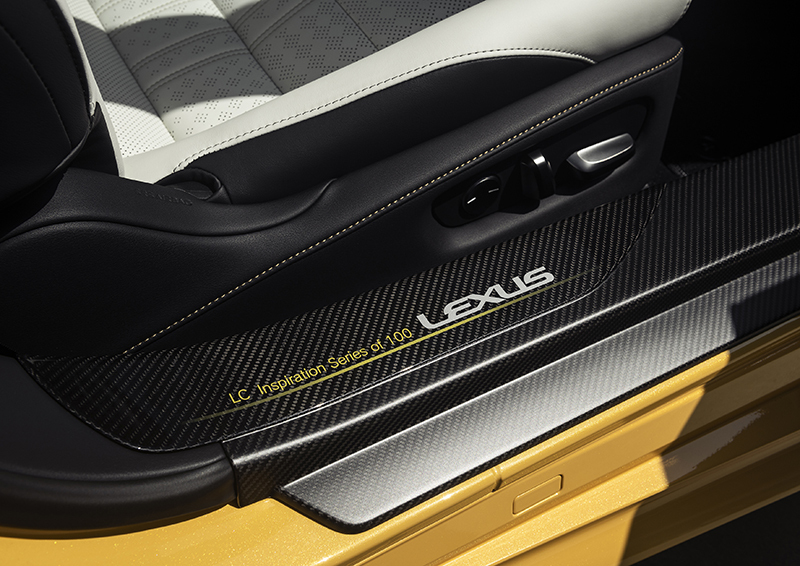 An inscription on the carbon-fiber doorsill, as well as a matching leather Lexus garment/travel bag (also with yellow lining), rounds out this even more special LC 500. Of course, as an LC 500, this Inspiration Series is powered by a 5.0-liter V8 that sends 471 horsepower to the rear wheels via a 10-speed automatic transmission. Such a setup means the car can sprint from rest to 100km/h in 4.4 seconds. That, definitely, is scorching.